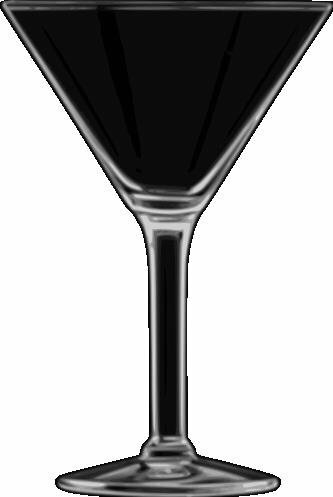 The Guide to the Perfect Martini – A blog for thoughts, ideas, comments, about the Perfect Martini: How to make, how to enjoy, where to enjoy. Yes, it’s been a long time since I wrote my first Gin review, back in June of 2017 (Monkey 47), a year as it turns out. I have vowed to step up my Gin reviews, partly because it’s fun to try new Gins, but mostly because there are just soooooooo many new, and often confusing, Gins out there today. As before I am reviewing this, and future, Gins in a very dry and very cold Martini, so fair warning, my Gin reviews will be in the context of Martini usage. After all, this blog is about the perfect Martini more than the perfect Gin. A little more history for you new readers, my preferred Gin for Martinis is Bombay Sapphire. It is ubiquitous in bars, lounges, and restaurants so I know it is always (almost) available. It’s a great way to start an evening with a known and dependable Gin. Thereafter I may experiment a bit and that is where these Gin reviews come in. Now Bombay Sapphire and Tanqueray are two of the World’s top selling Gins. For those interested the top 5 are: Seagrams, Beefeater, Tanqueray, Bombay Sapphire, and Gordon’s, in that order, according to “The Spirits Business” June 2017. Of further amusement is that Tanqueray and Sapphire are owned by Diageo and Barcardi, respectively, two of the world’s largest spirit distributors (1st and 5th respectively) and are therefore, and clearly, heated rivals. This is clearly borne out when talking to Gin aficionados as they are (almost) always either in the Sapphire camp, like me, or on the “dark side” favoring Tanqueray. Of course there are a many stragglers out there who are Nolet’s or Hendrick’s, or other Gin, fans, both of which are fine Gins in their own rights …. but I digress. I am not a fan of Tanqueray in general, it’s a bit too much citrus for me; I prefer the herbals of Sapphire. Tanqueray 10, having a bit more herbal components that Tanqueray, is more palatable to me for that reason. So when I was given a bottle of Tanqueray Rangpur, knowing it was the Rangpur Limes that gave this Gin its name, I was a bit dubious. But I have a bottle to use and I’m certainly not one to waste Gin. I started with some Rangpur neat. The initial impression on the nose is predominately lime with hints of juniper way in the back. Tasting this gin confirmed the lime forwardness. But now the juniper decided to show up and shared the limelight with the lime (sorry, I had to do it). The other herbals come into play on the back end but are mostly muddled together and subdued. I also would note that when taken neat, it’s almost a bit syrupy. You almost feel like it coats your tongue. As a martini it is still very lime forward. The aroma hits you immediately: very sweet citrus. Even with my martini extremely cold the nose affect is immediate. The first taste is a beautiful mix of citrus and juniper! Nothing floral here and almost imperceptible herbal elements. The juniper fades on the back end, but the citrus carries through to the last moments. Again the herbals come in at the end but are subdued and remain secondary to the citrus. I also noted that the syrupy feeling from the neat tasting was completely gone. I suspect due to the dilution of the Gin while shaking the Martini. In the end I like this Gin! But I’m not sure how to drink it. In my opinion it’s a bit sweet and citrusy for a Martini, I prefer a bit more herbal notes. I think using it in a G&T might be the better choice. Or even neat, though with some ice to lighten the tongue coating syrupy-ness. Thinking about it, on ice on a sunny afternoon seems just about perfect. As an aside, I really like lime in my cola and was tempted to add some of this to my Coke. I did and that was really pretty good! The acid of the Coke cut the syrupy feeling, though it was still pretty sweet; sort of a more citrus-y Cuba Libre. One of the reasons I don’t drink sweet cocktails is that they go down so easily and so quickly and this one absolutely would quickly overpower me. Would I recommend Rangpur? Yes! Having a bottle in your Gin collection is recommended and I do. For that sunny afternoon.